Some of us sometimes are forced into minimalist adventures, I don’t mean we are forced to throw away all our possessions, give up the car, or sell our home. Or do I ? There’s a vast number of people who do what I do, are self-employed in the main, who leave home at one end of the week and return home at the other. They, again generalising, carry two bags. One with a laptop and their work things, and one with their possessions, usually clothes, toiletries/makeup and the like, occasionally the odd special thing and this is how they live during the working week. 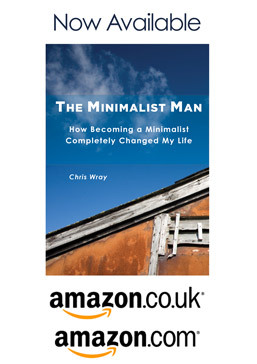 I travelled on minimalist adventures as part of my corporate life, for more years than I care to mention, I think I’ve probably visited most major cities in the US, rarely getting any further than the airport, been all over China, Taiwan, Korea. Spent many years travelling back and forth to Sweden, Denmark and Holland. All of which done with just two bags. I rarely had use of a car, and I lived in a hotel. Through all of this, I never stopped to think if I was missing my possessions, my stuff or all those things like paying bills, doing endless chores and tidying the clutter. I’d never heard of Minimalism back then. 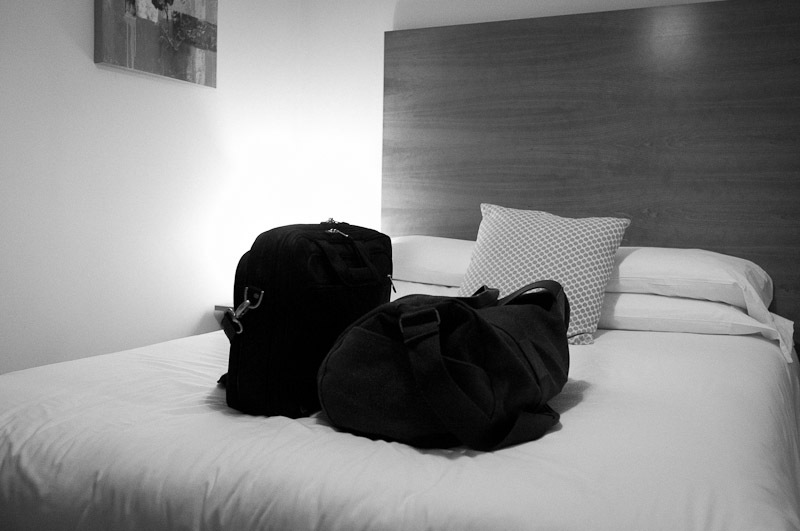 So here I am writing this entry in a small room, and there on the bed, and shown in the photo, are my two bags. In there is everything I’ll need for the next 3 months, possibly 6 months if my client likes what I do. I don’t miss stuff one bit. I have all that I need. It brings to light what minimalism is all about, whether living in the UK as I do, or travelling across the world, we carry with us what’s important, physical things, our dreams, memories and the love for our families. Anything that isn’t essential, or doesn’t make us happy, is generally left behind. On my minimalist adventures I carry, my laptop/iPad for writing posts and doing some work, or reading and browsing the web. Some clothes and toiletries. My running gear, and my camera, and that’s it. I have access to photographs of family, books, music, films should I need them. But these days they just sit there on the cloud. Nothing to carry, no additional weight, just a lot less stuff to worry about. So is this post about two less things to worry about, I know my two bags have everything I need, or is this about realising that perhaps one of the few pleasures of working away from home and living light is that we are indeed minimalists and there are far more than two things we could be concerned about, but now no longer need to.